Frank J. Chaloupka is a distinguished professor at the University of Illinois at Chicago, where he is the director of the Health Policy Center. He is also the director of the World Health Organization’s Collaborating Center on the Economics of Tobacco and Tobacco Control, and co-Director of Bridging the Gap: Research Informing Policies and Practices for Healthy Youth. Dr. Chaloupka’s research focuses on the effects of national, state, and local policies and other environmental influences on youth, young adult, and adult cigarette smoking and other tobacco use. In addition, he investigates the effects of policies on alcohol use, illicit drug use, physical activity, diet, and related outcomes. 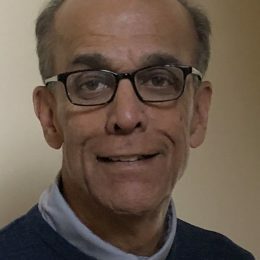 Dr. Chaloupka earned his Bachelor of Arts from John Carroll University in 1984, and his Ph.D. from the City University of New York Graduate School and University Center. Evan Blecher is a Senior Economist at the Health Policy Center at the University of Illinois at Chicago (UIC). He is also an Honorary Associate Professor in the School of Economics, University of Cape Town. Prior to joining UIC, he was an Economist in the Prevention of Noncommunicable Diseases department at the World Health Organization (WHO) in Geneva, where he led tobacco tax efforts in the African region. Between 2008 and 2013, he was a Senior Economist in the Health and Economic Policy Research Program at the American Cancer Society and an Affiliate in the Southern Africa Labour and Development Research Unit at the University of Cape Town where he served as the Project Director of the Economics of Tobacco Control Project. Evan’s work focuses on tax policy and the influence of tax policies on health behaviors, particularly in low- and middle-income countries. Evan works on the Think Tanks Project where he leads efforts in Indonesia and Vietnam. He received his bachelor’s degree in economics and business strategy from the University of Cape Town; a Master of Arts in economics with distinction from the University of the West of England, Bristol; and a Ph.D. in economics from the University of Cape Town. Dr. Cheng is a senior research specialist in IHRP’s Health Policy Center and an IHRP Fellow. She applies an economic and policy analysis approach to investigate impacts of various tobacco control policies, including taxations/pricings, smokefree laws, and FDA potential regulations on tobacco use and other related outcomes. She has published articles in leading economics, public health, and tobacco control journals, e.g., Health Economics, Social Science & Medicine, American Journal of Preventive Medicine, American Journal of Public Health, Tobacco Control, etc., with very high impact factors. Her commitment to a research career in economics, tobacco control and regulation evaluation is demonstrated by her contribution to smoking related economics research for over 10 years, tobacco policy and regulation research for over 7 years, and FDA tobacco regulatory science research for over 3 years. Dr. Cheng received her PhD in Policy Analysis and Management from Cornell University in 2010. She received postdoctoral fellowships at University of California San Francisco 2009-2011 and the Georgia State University Center for Tobacco Regulatory Science, with the focus on Tobacco Control and Tobacco Regulatory Science 2015-2017. 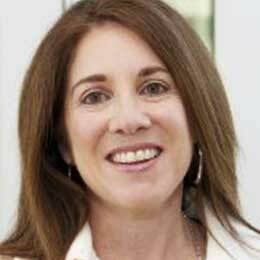 Sharon Feldman is the Director of Grants Implementation at the Institute for Health Research and Policy (IHRP). Throughout her 20 years at the IHRP, she has held multiple positions. Prior to joining the IHRP, Sharon was the site manager on the NHLBI-funded project, “ALLHAT,” at Rush University. In addition, Sharon completed her post-MPH internship at the Office of Smoking and Health within the Center of Disease Control and Prevention. Sharon’s work focuses primarily on tobacco control and non-communicable diseases. Sharon received her Bachelor of Arts from the University of Maryland, College Park, and her master’s degree in public health from the University of Illinois at Chicago. 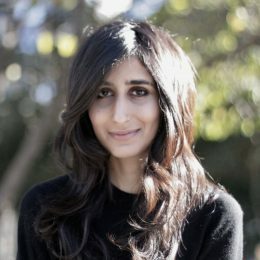 Maryam Mirza is a postdoctoral researcher at the Health Policy Center at the University of Illinois at Chicago. Previously, her research focus was studying the unintended consequences of policies designed to increase education and health outcomes. 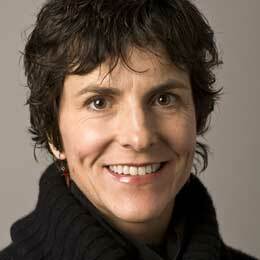 At present, she focuses on fiscal policies for health, primarily in low- and middle-income countries. Maryam received her bachelor’s degree in business administration–management information systems from the Institute of Business Administration (IBA), Pakistan, and her Ph.D. in economics from the University of Illinois at Chicago. ­­­­Prabhu Ponkshe is President of Health Matrix, Inc., and serves as the lead communications consultant for the Bloomberg Initiative to Reduce Tobacco Use. Based in the Washington, D.C., area, Prabhu has worked on a wide variety of tobacco control projects during the last three decades, focusing on science communications, media and legislative advocacy, regulatory affairs and public health education. He worked on the American Heart Association’s early efforts in tobacco control, was a part of the senior leadership team on the National Cancer Institute & American Cancer Society’s ASSIST project, and directed the communications activities for the Robert Wood Johnson Foundation’s Substance Abuse Policy Research Program, which focused on alcohol, tobacco and drugs. Before coming to the United States, Prabhu was a reporter with the news agency, Press Trust of India. Prabhu earned his Bachelor of Science and his LLB (JD) from the University of Bombay. 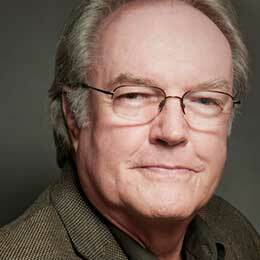 He also has a Master of Arts in mass communications from Texas Tech University. 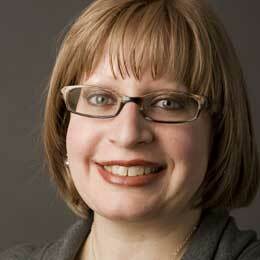 Elissa Resnick is a Research Specialist in the Health Policy Center at the University of Illinois at Chicago. Prior to joining the Health Policy Center in 2008, she conducted multiple intervention-based studies aimed at improving various health behaviors. More recently, she has been involved in national studies to examine environmental and policy-related factors that influence physical activity, nutrition, and tobacco use. 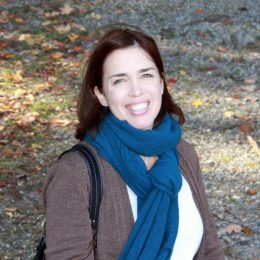 Elissa is interested in the role that policy and media advocacy can play in improving public health, and is the author of the textbook, Marketing Public Health: Strategies to Promote Social Change. Elissa earned her master’s degree in public health with a concentration in social and behavioral sciences from Boston University. Germán Rodriguez-Iglesias is an Economist at the Institute for Health Research and Policy at the University of Illinois at Chicago. In his previous position as a researcher for the InterAmerican Heart Foundation – Argentina (FIC Argentina), his focus was on developing policy-oriented research and media advocacy projects to implement effective tobacco control policies. He has been a contributor on several research studies that served as a basis to promote an increase in tobacco taxes, and analyze governmental subsidies for tobacco production in Argentina. German has applied lessons learned from tobacco control economics and tobacco taxation to study the economics of non-communicable diseases, agricultural/food policies, and other public policies. His research interests also include the economic determinants of food consumption; access to drinking water, fruit, and vegetables; and sugar-, salt-, and fat-reduction policies. Germán received his bachelor’s degree in economics from the National University of Mar del Plata (Argentina); and an MSc in economics from the University of the Basque Country (Spain). Dr. Ce Shang is a Senior Research Scientist at the University of Illinois at Chicago Institute for Health Research and Policy’s Health Policy Center. Her research focuses on the economic analysis of health behaviors, with an emphasis on how taxes and policies impact physical activity and substance use and abuse. She is a recipient of the National Institute of Health (NIH) Career Development Award to study alcohol taxation and affordability. She is also the lead of several tobacco control research projects under the Tobacco Centers of Regulatory Science (TCORS) funded by the NIH and the Food and Drug Administration (FDA). Dr. Shang is a member of the World Heart Federation (WHF) Emerging Leader Program 2016 cohort and has conducted extensive research on tobacco use and tobacco control policies in low- and middle-income countries. In 2015, Dr. Shang’s research on the impact of prices on smoking initiation and cessation received the Centers for Disease Control and Prevention Kaafee Billah Memorial Award in Economics Research. Dr. Shang received her Ph.D. in economics from the Graduate Center, City University of New York. Erika Siu is the Project Deputy Director at the Health Policy Center at the University of Illinois at Chicago. She most recently served as Secretariat Director of the Independent Commission for the Reform of International Corporate Taxation. Prior to that, Erika was a Researcher for the International Centre for Tax and Development in the Institute for Development Studies at the University of Sussex and Tax Policy Advisor for the United Nations Development Programme, Office for South-South Cooperation. Her research interests include corporate income tax avoidance and evasion of transnational tobacco companies. Erika is a graduate of New York University Law School’s Graduate Tax Program, and member of the New York and New Jersey Bar. Violeta Vulovic is a senior economist at the Health Policy Center, Institute for Health Research and Policy, at the University of Illinois at Chicago (UIC). Prior joining UIC, she worked as a tax policy economist with the World Bank Group from 2013 until 2017, where she led and supported the technical assistance on a variety of tax policy and administration issues in developing countries, focusing on the East and South Asia regions. 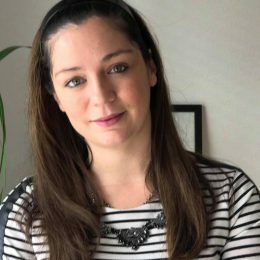 Between 2010 and 2013, she worked as a research associate with the International Center for Public Policy at Georgia State University, and before that, between 2002 and 2005, as a fiscal analyst with the Ministry of Finance of Serbia. Violeta has published journal articles on the optimal tax structure, the macro-economic and distributional impacts of tax and expenditure policies, the tax effort, etc. 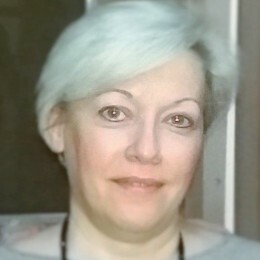 She earned her Bachelor of Science in economics from the University of Belgrade, Serbia, and her Ph.D. in economics from Georgia State University, with a focus in public finance. Jamie F. Chriqui is a Senior Research Scientist at the Health Policy Center within the Institute for Health Research and Policy at the University of Illinois at Chicago. She has over 23 years of experience conducting public health policy research and analysis, with an emphasis on tobacco control, substance abuse, obesity, and other chronic disease-related issues. Her current research focuses on examining the impact of public health policies on community, school, and individual outcomes. 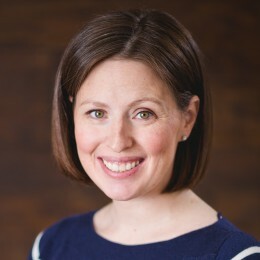 She holds a Bachelor of Arts in political science from Barnard College, Columbia University; an Master of Health Science in health policy from the Johns Hopkins University School of Hygiene and Public Health; and a Ph.D. in policy sciences (health policy concentration) from the University of Maryland, Baltimore County. Dr. David Merriman is a professor at the Institute of Government and Public Affairs in the Department of Public Administration at the University of Illinois at Chicago. His current research focus is on the avoidance of tobacco taxes. In recent studies, he analyzed the tax stamps on littered cigarette packs to measure the degree to which smokers avoid cigarette taxes. He is also interested in using littered cigarette packs to monitor compliance with FDA regulations. 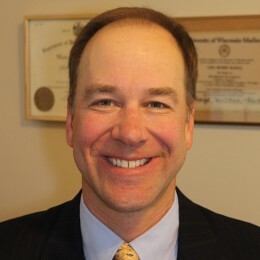 David holds a Ph.D. in economics from the University of Wisconsin-Madison, where his dissertation was awarded first prize for the outstanding doctoral dissertation in government spending and taxation by the National Tax Association. Richard M. Peck has worked on health-related aspects of cost-effectiveness and cost-benefit analysis for approximately 14 years. In this capacity, he has served as a consultant to the World Bank, World Health Organization, National Cancer Institute, and Centers for Disease Control. The focus of his research has been the application of cost-effectiveness and cos- benefit techniques to tobacco control interventions. Dr. Sandy Slater is a Research Assistant Professor at the University of Illinois at Chicago School of Public Health, in the Department of Health Policy and Administration. Dr. Slater specializes in community-based health research and is involved in numerous studies designed to examine and reduce modifiable risk factors such as physical inactivity, obesity, and tobacco use. Her research activities focus on low-income urban communities of color and rural populations—two populations vulnerable to physical inactivity and high rates of obesity. 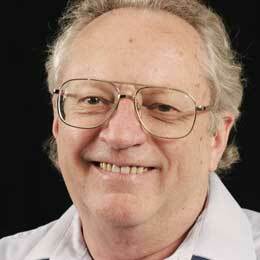 Dr. John A. Tauras is an Associate Professor in the Department of Economics at the University of Illinois at Chicago. He also holds a Research Associate appointment at the National Bureau of Economic Research. 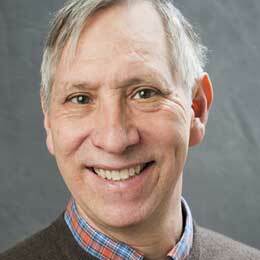 Dr. Tauras’ research focuses on the economic and policy aspects of disease prevention and health promotion. Much of his research has examined the impact of government policies on the demand for tobacco products, placing special emphasis on modeling the dynamics of addictive consumption. He has published numerous journal articles and chapters in conference volumes on this topic. John earned a Ph.D. in economics from the University of Illinois at Chicago, and completed a postdoctoral fellowship at the University of Michigan. 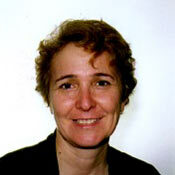 Dr. Ayda Yurekli is a Visiting Senior Research Scientist at the University of Illinois at Chicago. Previously, she was the Coordinator for the Tobacco Control Economics (TCE) unit within the Tobacco Free Initiative at the World Health Organization. Between 2004 and 2006, Dr. Yurekli served as a Consultant for the World Bank and the WHO, before joining the Research for International Tobacco Control (RITC) unit at the International Development Research Center (IDRC), Ottawa, Canada, as a Program Leader in 2006-07. In 2007, Dr Yurekli joined the TFI, WHO, as the Lead Economist and the Senior Economic Adviser for the Director of the WHO/TFI. After the establishment of Tobacco Control Economics (TCE) in the WHO TFI, she became the coordinator. Dr. Yurekli has experience in various areas on the economics of tobacco control, including excise tax systems, illicit trade, and privatization. During her tenure at the World Bank and the WHO, she coordinated with many researchers and authored or co-authored many book chapters and research papers. She has worked with over 80 countries’ Ministries of Finances and provided technical support on excise tax implementation and administration. She trained tax officials from MoF and Customs, health officials from Ministries of Health, and academics on the economics of tobacco control and taxation. 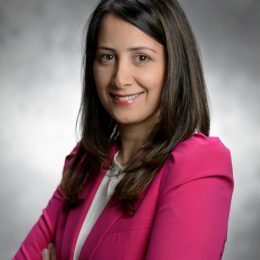 Dr. Yurekli received her Bachelor of Arts in economics from Marmara University in Istanbul, Turkey; a Master of Arts degree in economics from California Polytechnic University at Pomona; and a Ph.D. from Cornell University in Ithaca, New York. In addition, she completed her postdoctoral research at the Office of Smoking and Health (OSH) at the Centers for Disease Control and Prevention (CDC) in Atlanta, Georgia, between 1996 and 1998. Dianne C. Barker is President of Barker Bi-Coastal Health Consultants, Inc. (BBHC), which is a health policy consulting firm based in Los Angeles. She also serves as a principal investigator on several tobacco and obesity-related research and evaluation projects administered by the Public Health Institute. For more than two decades, Dianne has designed and conducted various studies examining how environmental influences and public and private policies affect tobacco quitting behavior among older adolescents, young adults, and pregnant women. Her most recent research focuses on the emerging electronic cigarette market. 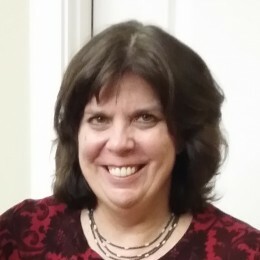 A demographer by training, Dianne holds a Bachelor of Science in child development and family relations from the University of Rhode Island, and earned her Master of Health Science in population dynamics from the Johns Hopkins University School of Hygiene and Public Health in 1987. Dr. K. Michael Cummings is a professor in the Department of Psychiatry and Behavioral Sciences at the Medical University of South Carolina, and co-leader of the Hollings Cancer Center Tobacco Research Program. In 2002, he helped establish the ITC Project along with Geoff Fong, Ron Borland, and Gerard Hastings. Dr. Cummings is widely recognized for his research on smoking behavior, product marketing and consumer perceptions, and the influence of cigarette design on smoking behavior. He received his Bachelor of Science in health education from Miami University of Ohio in 1971, and his master’s degree in public health (1977) and Ph.D. (1981) from the University of Michigan. Sophia Delipalla is a professor of economics at the University of Macedonia in Macedonia, Greece. Previously, she worked at the University of Kent at Canterbury, University of Wales Swansea, and University of Essex (UK). Her research interests include public, industrial, and health economics. As her research on excise taxation in oligopolistic markets applies to the tobacco industry, she worked as a senior economist at the Tobacco Free Initiative at the World Health Organization in Geneva, Switzerland. Currently, she still continues her collaboration with the WHO as a temporary advisor. She has published articles in various economics journals, and contributed in various handbooks and monographs on health and tobacco control. Sophia earned her Bachelor of Arts in economics (1985) from the University of Macedonia Department of Economics, and an Master of Arts (1987) and Ph.D. (1994) from the University of Essex. 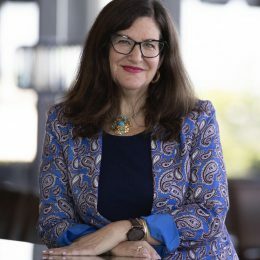 Dr. Sherry Emery is a Research Professor in the School of Public Health, a Senior Scientist at the Institute for Health Research and Policy, and Director of the Health Media Collaboratory at the University of Illinois at Chicago. Forthe past 17 years, she has conducted extensive analyses of a variety of public health media campaigns, focusing on tobacco and other drug use, obesity prevention, and pharmaceutical advertising. She has published numerous peer-reviewed articles, and is recognized nationally and internationally as an expert in tobacco control policy and health communication. As principal investigator of an NCI-funded U01 project (CA154254) and the project director for the Data Core that supports University of Pennsylvania’s Tobacco Center for Regulatory Science (TCORS), Dr. Emery has been a pioneer in curating and analyzing social media data on tobacco issues. 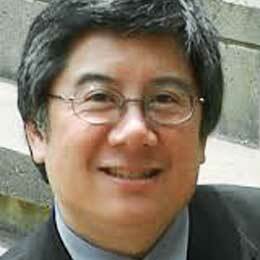 Geoffrey T. Fong is professor of psychology and public health and health systems at the University of Waterloo. 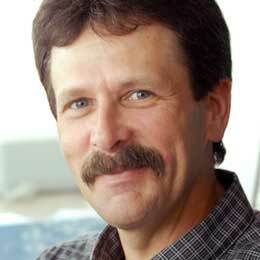 He is also a senior investigator at the Ontario Institute for Cancer Research. Dr. Fong is the founder and Chief Principal Investigator of the International Tobacco Control Policy Evaluation Project (the ITC Project), which is a transdisciplinary collaboration of over 100 researchers across 22 countries. Emmanuel Guindon is the inaugural chair in health equity at the Centre for Health Economics and Policy Analysis (CHEPA)/Ontario Ministry of Health and Long-Term Care, an assistant professor in the Department of Health Research Methods, Evidence, and Impact (HEI), and an associate member of the Department of Economics at McMaster University. Prior to joining McMaster University, Emmanuel was a faculty member at the Université de Montréal, and a staff economist at the World Health Organization in Geneva, Switzerland. Overall, Emmanuel’s research interests cover a broad array of topics in health economics, health behavior, health services research, and econometrics. Dr. Jidong Huang is an Associate Professor of Health Management and Policy and a Second Century Initiative (2CI) scholar in the Tobacco Center of Regulatory Science at the School of Public Health at Georgia State University. His research focus is on the economic analysis of substance use and abuse, and how prices, taxes, and other substance control policies affect the demands for tobacco, alcohol, and illicit drugs. Dr. Huang’s current research involves examining the marketing and promotion of new and emerging tobacco products, particularly Electronic Nicotine Delivery Systems (ENDS), and how policies and regulations affect ENDS use. In addition, Dr. Huang has also conducted extensive research on the impact of tobacco taxes in reducing tobacco use in low-and middle-income countries. Dr. Andrew Hyland is chair of the Department of Health Behavior at the Roswell Park Cancer Institute, and the deputy editor of the Tobacco Control journal. His primary research interests lie in evaluating the impact of policies aimed at reducing the morbidity and mortality associated with the use of tobacco products. Dr. Hyland holds a Ph.D. in epidemiology and a Master of Arts in statistics from the State University of New York at Buffalo. 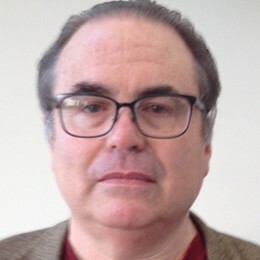 Lloyd Johnston is a research professor and distinguished research scientist at the University of Michigan Institute for Social Research, and a principal investigator of the Youth, Education, and Society study since it started 1997. In addition, he is a contributor on the “Monitoring the Future” study since its began in 1975. He has served as an advisor to the White House, Congress, and many government agencies and other universities, as well as for the World Health Organization, United Nations, Pan American Health Organization, Council of Europe, and 12 foreign countries. 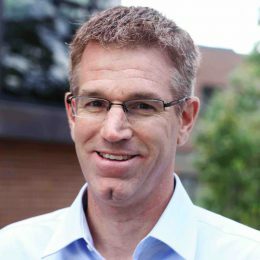 Dr. Johnston earned his Bachelor of Arts in economics from Williams College, a Master in Business Administration in organizational behavior from Harvard University, and an Master of Arts and Ph.D. in social psychology from the University of Michigan. 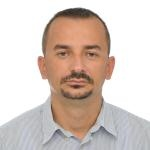 Dr. Ede Lazar is an associate professor at the University Sapientia, Romania. Prior to joining academia, he worked at the Hungarian Central Statistical Office and TNS Hungary market research company. 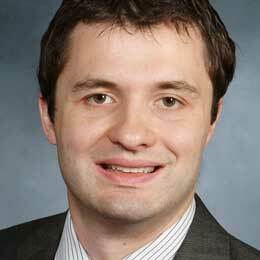 Dr. Lazar’s research focuses on econometric modeling of demand and price optimization. Dr. Lazar received his Master of Economics degree at Corvinus University of Budapest, and holds a Ph.D. in marketing from the Szent-István University in Hungary. 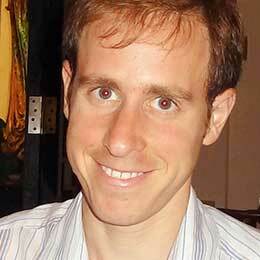 Dr. Matthew R. Levy is an assistant professor at the London School of Economics (LSE) and Political Science. Prior to joining LSE, he was a Robert Wood Johnson Scholar in Health Policy Research at Harvard University. His research focuses on consumer mistakes and procrastination on decisions regarding their long-term health and finances, including laboratory and field experiments on retirement saving, exercise, and smoking. Dr. Levy earned his Ph.D. in economics with a focus on behavioral economics and public finance at the University of California, Berkeley, in 2009. He also holds a Bachelor of Science in economics from Massachusetts Institute of Technology. 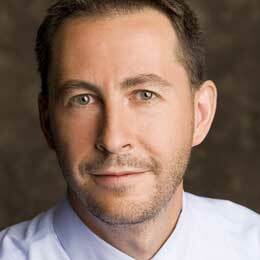 Dr. Patrick O’Malley is a Research Professor at the University of Michigan Institute for Social Research. In addition, he is co-principal investigator on the “Monitoring the Future” study, and the “Youth, Education, and Society” study. He has served on four National Academy of Sciences committees and has been both a member and chairman of several National Institute of Health review committees. Dr. O’Malley received his Ph.D. in psychology from the University of Michigan. 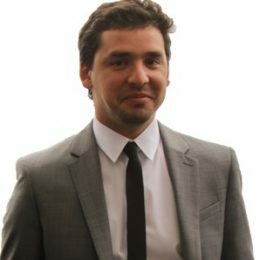 Dr. Guillermo Paraje is a professor of economics at the Universidad Adolfo Ibáñez Business School in Chile. 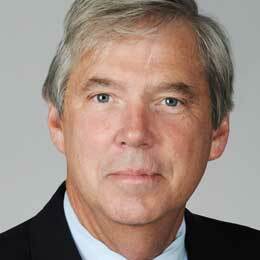 He specializes in health economics topics, such as health equity, health systems, and non-communicable diseases. Relating to non-communicable diseases, he has developed policy-oriented research to implement effective tobacco, alcohol, and sugar-sweetened beverage control policies in Latin American countries. Previously, he was a consultant for the World Bank, the World Health Organization, the United Nations Development Program, UNICEF, other organizations. He was also a member of a Presidential Commission to Reform Health Insurance in Chile. 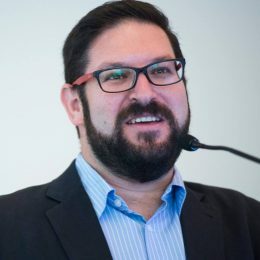 Guillermo received his bachelor’s degree in economics from the National University of Córdoba in Argentina and an MPhil and Ph.D. in economics from the University of Cambridge, United Kingdom. Dr. Michael Pesko’s research lies at the intersection of health economics, behavioral health, health care delivery, and econometrics. His current research focus is on three areas. First, with colleagues in the Division of Healthcare Policy and Economics, Dr. Pesko uses Medicare claims data to examine the effect of healthcare professional organization and social interaction on patient outcomes. Second, he analyzes hospital responses to external incentives in the Affordable Care Act. Third, he contributes to tobacco control regulatory efforts by examining individual responses to cigarette excise taxes, large-scale disasters, and emerging tobacco products such as e-cigarettes. 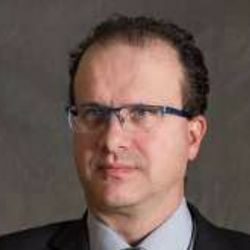 Dr. Árpád Szabó is an associate professor of macroeconomics at the MÜTF Educational Centre in Odorheiu Secuiesc in Romania, and an associate professor of management at Targu Mures University of Arts in Romania. He also works as a business strategy and human development consultant. He was lecturer at the Sapientia University in Cluj, Romania, Partium Christian University of Oradea, Romania and Strathmore Business School in Nairobi, Kenya. Dr. Szabó’s past research focus was on the impact of privatization on organizational behavior in Romania with a research grant of the Sapientia Centre of Research, Cluj, Romania in 2006, and on regional development in Romania’s Centre Statistic Region with a research grant of the Foundation of Comparative Minorities Studies, Budapest, Hungary from 2006-2008. Dr. Szabó is also the lead scientist of the Economic Impacts of Tobacco in Romania subproject, part of Building Capacity for Tobacco Research in Romania from 2012-2017. He was awarded research grants by the European Centre of Comparative Minorities Research in Budapest, Hungary, and by the Sapientia Research Centre in Cluj for doing research in the fields of privatization in Romania and regional development in the Central Macroregion of Romania. 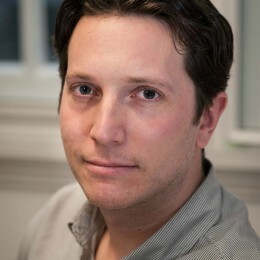 Justin White is assistant professor of health economics in the Philip R. Lee Institute for Health Policy Studies at the University of California, San Francisco. Prior to that, he completed a postdoctoral fellowship at Stanford’s Prevention Research Center. His research applies theories from health and behavioral economics to understand the factors that motivate individuals to adopt healthy behaviors, with a special emphasis on tobacco use. In doing so, he aims to identify individuals’ decision errors related to health behavior, and design interventions to address these errors. He is working on several experimental studies to promote smoking cessation. Complementary to this work, Dr. White has led a series of studies that examine the behavioral responses of smokers to cigarette prices and taxes. Dr. White holds a Ph.D. in health policy, and a concurrent Master of Arts in economics from the University of California, Berkeley. Ah Maftuchan is the executive director of Perkumpulan PRAKARSA, the NGO-based think tank in Jakarta, Indonesia. Prior to PRAKARSA, he worked as consultant on good-governance and international development cooperation project in Die Deutsche Gesellschaft für Internationale Zusammenarbeit (GIZ) GmbH. He also a member of CSOs-representatives working group on SDGs in the Executive Office of the President of Republic of Indonesia (KSP), and an advisor and Indonesian Delegation for the High Level Political Forum/HLPF of United Nations on Sustainable Development Goals. Maftuchan is also the co-founder and coordinator of the Indonesia Tax Justice Forum, co-founder of Indonesia ResponsibleBank Coalition, the commissioner of Independent Commission of State Budget, and co-chair of Tax and Fiscal Justice Alliance (TAFJA) South-east Asia Sub-region. Maftuchan earned his master’s degree in social welfare specializing in social development policy at the University of Indonesia. 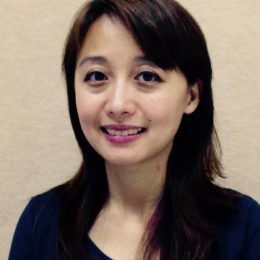 Widya Kartika joined Prakarsa in Jakarta, Indonesia, as an economic policy officer in December 2016. Her main responsibilities include management of the program and specific projects, from planning, implementing, and reporting. Prior to Prakarsa, she worked for the Indonesian Forum for Budget Transparency as a researcher on the local budget analysis and decentralization, where she gained 4 years of qualitative and quantitative research experience and program management in public economics, public policy and governance, namely local budgets. Widya earned her bachelor’s degree in economics from the University of Airlangga in East Java, Indonesia. 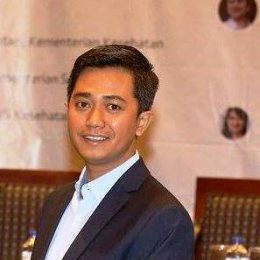 Herni joined Prakarsa in January 2018 as program manager. She is also a researcher at Sociology Research Center of Gajah Mada University in Jogjakarta, Indonesia. Prior to Prakarsa, she worked as Program Management Specialist at UNDP of Indonesia. Her current research focus is on the tobacco illicit trade in Indonesia, which estimates and ascertains the changes in the levels of illicit trade before, during and after tobacco excise taxes increase. In addition, Herni conducts research on the illicit financial flow in the extractive sector, specifically on coal mining in Indonesia. 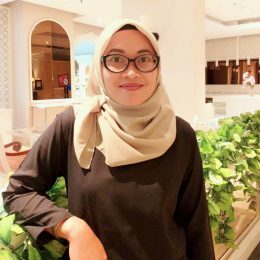 Her research on gender and climate change was recently published by the Ministry of Manpower of Indonesia and on Friedrich Elbert Stiftung (FES). Herni earned her master’s degree in public policy with a focus in social policy from the Australian National University in Canberra, Australia. Dr. Ngoc Anh is the co-founder and chief economist at the Development and Policies Research Center (DEPOCEN). 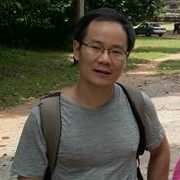 Prior to co-founding DEPOCEN in 2005, he was an economic advisor for the Economic Committee of the National Assembly of Vietnam. His years of experience working in the field of development and policy for both governmental and international organizations have given him a well-established position among the research community. From 1995 – 2006, Anh worked for the Ministry of Industry and Trade and the National Council for Science and Technology Policy as a senior researcher. 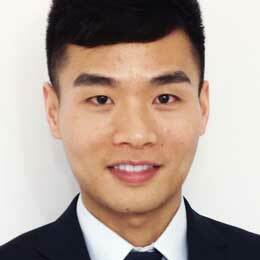 Anh earned his master’s degree in international trade and finance from Lancaster University (UK), and later a Ph.D. in economics from Lancaster University. After completing his Ph.D., he spent two years in the UK for his post-doctoral research fellowship. 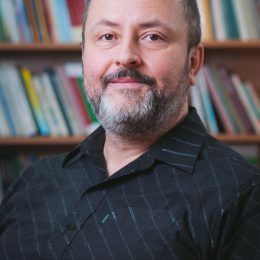 Dr. Drini Imami is an associated professor at the Agricultural University of Tirana since 2013, and a senior expert at Development Solutions Associates (DSA). Prior to that, he worked as a consultant for the Food and Agriculture Organization (FAO), the Swiss Association for Standardization (SNV), World Bank, European Bank for Reconstruction and Development (EBRD), Die Deutsche Gesellschaft für Internationale Zusammenarbeit (GIZ) GmbH, and various USAID and EU projects. In addition, Drini has conducted research in several leading European research institutions, and contributed to more than 50 scientific publications and 40 technical reports. His research focuses on behavioral, political and institutional economics. Drini Imami earned his Ph.D. in agri-food economics and policy from the University of Bologna in 2011. ­­­­Anđela Pepić is the head of the Entrepreneurship and Technology Transfer Centre at the University of Banja Luka, Bosnia and Herzegovina. Prior to that, she worked at the Institute for Social Sciences at the Faculty of Political Sciences, University of Banja Luka as a project manager and researcher. From 2008-2013, she worked as coordinator for Bosnia and Herzegovina within the Regional Research Promotion Programme in the Western Balkans (RRPP) at the Human Rights Centre of the University of Sarajevo. Anđela’s current research focus is on labor, social and economic rights, precarious labor, globalization and labor studies. 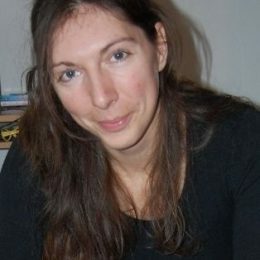 She conducted policy research and developed policy studies with recommendations focusing on the economic policies of the Left and their applicability in Bosnia and Herzegovina, as well as on local policies (social housing, employment policies, and capital investments policies) in Bosnia and Herzegovina. She was also a fellow withing the Policy Development Fellowship Programme from 2009-2010 and conducted research on labor inspections in B&H and their capacities in promotion and protection of labor rights. Anđela earned her Bachelor of Science at the Faculty of Economics, University of East Sarajevo, Bosnia and Herzegovina. She obtained her master’s degree at the School of Economics and Business at the University of Sarajevo and is currently enrolled in the Ph.D. program at the Faculty of Political Sciences Department of Sociology, University of Banja Luka. ­­­­Željana Aljinović Barać is professor at the University of Split – Faculty of Economics, Business and Tourism (EFST) in Croatia. Throughout her 20 years at the EFST, she has held multiple positions and was promoted from teaching and research assistant to her current position. Dr. Barac’s research interests cover a wide array of topics in area of craftsman accounting and taxation, financial accounting, and cash flows. Prior to EFST, she was a researcher on various projects at EFST, and a principal researcher and project coordinator on a joint project with the Faculty of Economics, Faculty of Law and University Department of Marine Studies within the University of Split. Zeljana earned her Bachelor of Science in economics, Master of Science in accounting information for capital market investors, and a Ph.D. on the topic of cash flow ratios model for company’s performance assessment from the University of Split. Besnik Prekazi is a part-time researcher at the think tank Center for Political Courage (CPC) in Pristina, Kosovo. 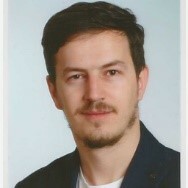 At CPC, he is the main researcher in the International Scientific Project “Accelerating Progress on Effective Tobacco Tax Policies in Low- and Middle-Income Countries.” He is also a part-time researcher at the NGO Democracy Plus (D+) in Pristina, where he is involved in projects that deal with peace and rule of law. Prior to working with these two organizations, he worked for state institutions, such as the Ministry of Economic Development and Central Election Commission, and for an International Nongovernmental Organization Save the Children. 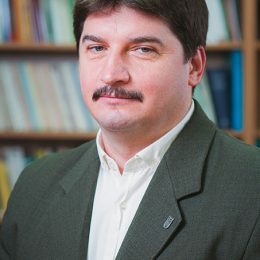 Besnik’s current research focus is in economics and political science. Recently, he was the coordinator of a peace project named Challenge History which brought together high-school students from four Balkan countries, and he coauthored a research report that assessed Kosovo citizen’s satisfaction with courts’ services. Besnik earned his Bachelor of Arts in political science from the Faculty of Philosophy at the University of Pristina in Kosovo, and his Master of Art in roads to democracy from the University of Siegen in Germany, completing one semester at the University of Coimbra in Portugal. Dr. Ana Mugoša is a lecturer at the Faculty of Economics in Podgorica, University of Montenegro, specializing in finance. 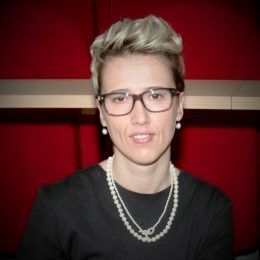 She is also a consultant at the Institute for Socio-Economic Analysis (ISEA) in Podgorica, and project director of the International Scientific Project related to the economics of tobacco taxation and control in Montenegro working in cooperation with Institute of Economic Sciences, Belgrade and University of Illinois at Chicago (UIC). Prior to joining Faculty of Economics, she worked as a lecturer at Faculty of Economics and Business of Mediterranean University at Podgorica from 2006-2009, where her research focused on financial markets and public finance. Ana is also a member and a founder of Montenegrin Association of Economists. At present, her research interest is expanded from micro to macro-finance level, including short-term and long-term fiscal policies impacts on tobacco use and health among adults and youth. Dr. Ana Mugoša earned her Bachelor of Arts in economics (finance) from the University of Montenegro in 2005, her Master of Business Administration in finance from the University of Sheffield in 2009, and her Ph.D. in economics from the University of Montenegro in 2016. 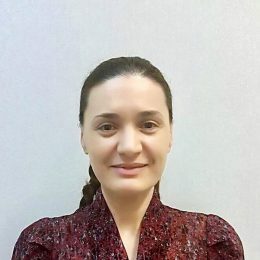 Tamara Mijovic Spasova is a research fellow at the Association for Policy Research (“Analytica”) think tank in Macedonia, where she works on projects related to monitoring of public finances within the Public Policy Analysis and Administration Program. In addition, Tamara is a part of a collaborative project focused on conducting concrete analysis on tobacco taxation in the country to be able to engage all the important stakeholders in the policy dialogue, and analyze the supply and demand for tobacco products, tobacco taxation national policies, illicit trade and estimation of elasticity of demand of tobacco products. 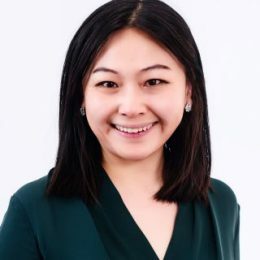 Prior to working at Analytica, she worked in the Budged and Funds Department at the Ministry of Finance, the KD Fondovi AD Skopje asset management company, and the South Balkan Private Equity Management Group (SPMG) as a financial statement and investment analyst. Tamara received her bachelor’s degree in economics and financial management from the University of St. Cyril and Methodius, and her Master of Business Administration in finance from the University of Ljubljana in Macedonia. Jovan Zubovic has been the director of the Institute of Economic Sciences since 2015. Prior to this, he was a visiting lecturer in microeconomics in a few academic departments. 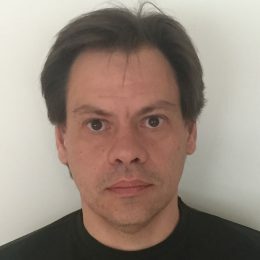 At the same time, between 2003 and 2012, he worked as a research associate with the Institute of Economic Sciences, after which he moved to the Economics Institute in Belgrade, where he accepted a position of a deputy president of the Scientific Council. Jovan’s research focus has been in microeconomics, labor economics, structural reforms, and tax policy in low- and middle-income countries. He has led several local and international projects that the Institute of Economic Sciences and the Economics Institute conducted, either independently or jointly with other institutions. Jovan earned his bachelor’s degree in economics and business administration from the Intercollege Cyprus, Limassol. He also completed his postgraduate studies at Maastricht School of Management, earned his PhD in economics, and has defended on the Belgrade Banking Academy-Faculty for Banking, Insurance and Finance. Nasiruddin Ahmed is a Senior Fellow of Practice at the BRAC Institute of Governance and Development (BIGD), BRAC University, in Dhaka, Bangladesh. Prior to BIDG, he worked as the Secretary to the Government of Bangladesh and Chairman, National Board of Revenue. His is currently working on a research project titled “Tobacco tax research and dissemination in Bangladesh” with the University of Illinois at Chicago. 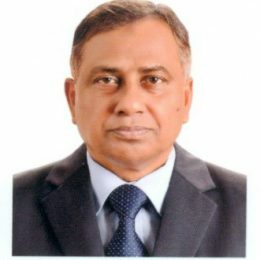 He is also engaged in research projects, namely “Trade-based money laundering in Bangladesh” and “Preventing corruption in mutation of land records in Bangladesh.” He has co-authored a study on “Impact of biri taxation on revenue and employment in Bangladesh” (WHO, forthcoming). He also co-authored a working paper on “Improving tax compliance in developing economies: Evidence from Bangladesh” (IGC, London, 2012). He has authored a number of papers published in Applied Economics, Applied Economics Letters, Public Administration and Development and Indian Economic Review journals. Ahmed earned a Ph.D. in economics from the University of Sydney, Australia, and a master’s degree in Public Sector Management Training and Development Economics from the American University, Washington, D.C. He was trained in International Training of Trainers on Building Capacity to Use Research Evidence for Effective Decision Making Program at John F. Kennedy School of Government, Harvard University. Mahmood Khalid is currently working as Senior Research Economist at Fiscal and Monetary Section, Pakistan Institute of Development Economics (PIDE). Prior to his work as an economist at PIDE, he was the director of the Health Economics Department. His research interest are in public finance, fiscal policy and health economics. He was also a co-author for the recent report “Economics of Tobacco Taxation and Consumption in Pakistan”. Mahmood earned his Ph.D. in economics from Pakistan Institute of Development Economics (PIDE) with a dissertation in Fiscal Policy. 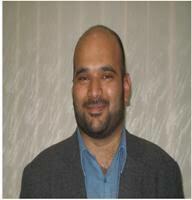 He is also a member of Pakistan Society of Development Economists (PSDE).